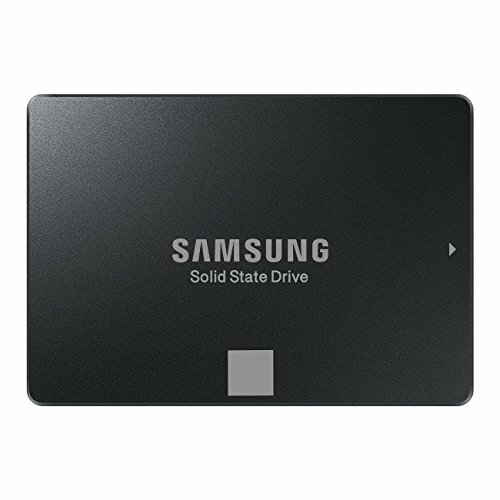 Samsung has become known for dominating the entire spectrum of consumer SSDs over the past few years, partly thanks to it being the first company to market with 3D NAND. However, what really kicked off the company’s SSD success was its 2D planar TLC NAND, which was used in the hugely successful 840 Evo range. The strength of Samsung’s controllers, when coupled with this densely packed NAND, allowed for great performance and a competitive price. Meanwhile, other competitors were stuck using less dense, and thus pricier, two-level MLC NAND. Since then, Samsung has continued to work on its planar TLC NAND while also continuing its development of 3D NAND products, and the result of that development is its new entry-level drive, the 750 Evo. In contrast, Micron is set to completely abandon planar NAND use in SSDs. Essentially an upgraded version of the 840 Evo, the 750 Evo uses the latest 16nm TLC NAND, as opposed to the 19nm TLC used in the 840 Evo. It also uses Samsung’s latest controller, so it doesn’t suffer from the same speed degradation problems of Samsung’s 840 Evo drives. Kingston has a slightly lower capacity, but it does still come out on top for value. The drive itself uses Samsung’s signature color scheme of black-painted metal casing with a colored square indicating the drive’s class – grey for Evo, red for Pro. Here, the logo is printed on the chassis, so you can’t remove it, but it at least looks attractive and understated in the first place. You get no extras in the box, such as a 7mm to 9mm riser, but you can download Samsung’s Magician and Data Migration software for free. These utilities enable easy monitoring and firmware upgrades of your SSD, and enable you to migrate your data from your old drive to the new one. There’s no mention of either utility on the box, but they’re easy to find on Samsung’s website. When it comes to performance, the 750 Evo initially impressed. This drive, at least in its 500GB form, comfortably competes with mid-range drives. However, the 750 Evo starts to struggle in more intensive workloads. While it’s one of the fastest planar TLC drives available for light use, it slows down in any situation where its cache is full and it’s running at steady-state performance. You can see in our lo meter tests that the 750 Evo really starts to fall behind the Samsung 850 Pro drives, and the 850 Evo 500GB, when it has to work hard. Nevertheless, this drive wasn’t designed to cope with such scenarios. If you’re really hammering your SSD -regularly importing masses of photos while simultaneously editing video, running backups and running a virus scan and so on, then you’ll want to move to a higher class of drive. As such, the Evo 750 manages to find a good niche for itself, as the fastest entry-level drive that’s still comfortably cheaper than the likes of the 850 Evo, just as long as you know its limitations. Push the Samsung 750 Evo hard and it starts to struggle, but in more regular workloads, it’s the best in its class. This situation might not be clear-cut, but it’s still easy to judge this drive in terms of who should buy it. If you’re primarily just gaming and doing light desktop work, then it’s a good buy, but if you regularly push your PC then other, more expensive SATA drives will handle the workload better. The fastest 2D TLC drive we’ve tested, but don’t push it too hard. The fastest 2D TLC drive we’ve tested, but don't push it too hard.